Biodanza uses the integrating vivencias, experiences lived with great intensity, here and now, to stimulate the human potentials of vitality, creativity, sexuality, affectivity and transcendence. The creator of Biodanza, Rolando Toro Araneda, was a psychologist, painter and poet. He was born on April 19, 1924 in Concepción, Chile. During his beginnings as a teacher of primary education he developed innovative teaching methodologies through art, which later gave rise to Biocentric Education. Later as a psychologist he worked at the Aesthetics Institute of the Catholic University of Chile and at the Medical Anthropology Center of the University of Chile, where he researched the expression of the unconscious and the states of expansion of consciousness. 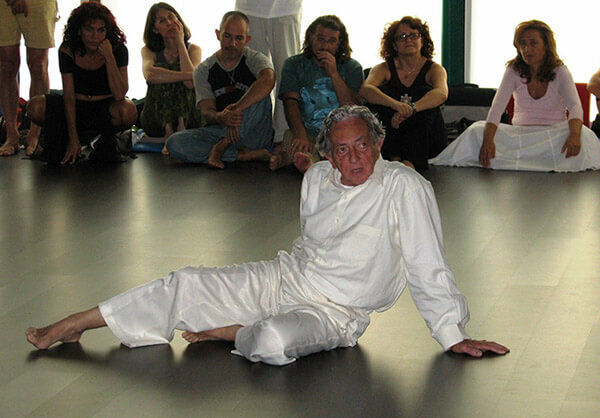 At the end of the sixties he began his experiences with the Biodanza System (originally called Psychodanza) in the Psychiatric Hospital of Santiago and in the Aesthetics Institute of the Catholic University of Chile. During this period he developed the theoretical model and the foundations of the System that he continued working until his death. In the mid-seventies he moved to Argentina and later to Brazil where he lived for 13 years. In the 90s he moved to Italy from where he expanded the movement worldwide. He died in Santiago, Chile, on February 16, 2010 at age 85. Do you want to know more about Biodanza?